StayinFront provides a complete, PDMA-compliant solution that automates the execution, management and monitoring of sales and marketing activities so companies do more, know more and sell more. Sales and management teams are able to target, prepare and execute business plans, while actionable analytics guide and support data-driven decisions. StayinFront makes it easier for all your teams, including Primary Care, Specialty Care, Managed Care, Institutional Sales and Medical Sciences Liaisons, to manage their territories, while enabling sales managers to coach, measure and respond to teams for better results. 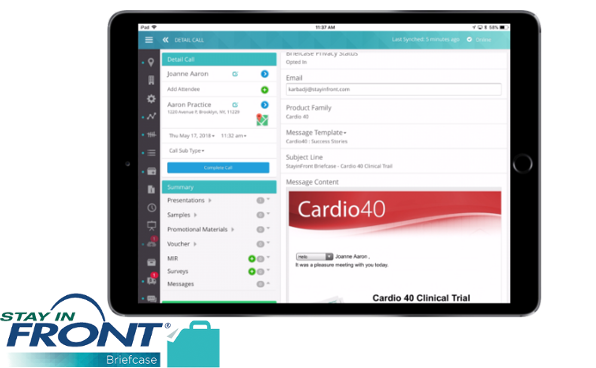 Sales teams have easy-to-use mobile tools that allow them to target the right HCPs, execute effective calls and easily capture interactions on the spot. 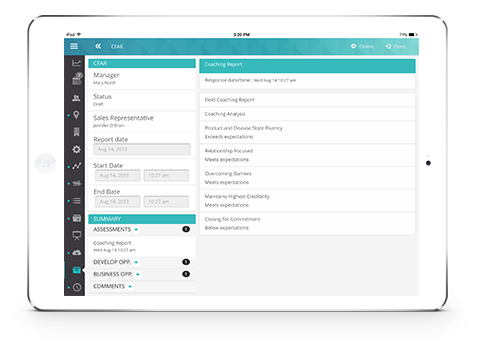 Sales managers can analyze territory data, initiate and execute field coaching reports, approve time-off territory requests and access rep schedules while in the field. 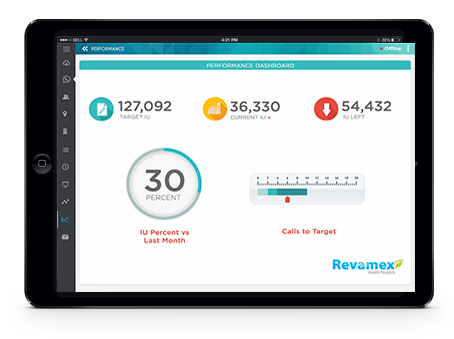 Sales reps have everything they need to effectively plan and execute calls with a single application. Advanced planning, filtering and scheduling tools enable sales reps to search, identify and segment high-priority accounts. Prebuilt seamless integrations with Concur expense management, MedPro Systems data validation and QPharma sample reconciliation help reps be competitive while remaining compliant. Segment and identify high value HCPs based on various criteria; set priorities and build lists of customers on which field reps should be calling. Record of complete inventory and sample distribution including physician names, dates, times and quantity. A comprehensive history of all customer interactions in one place, for easy reporting and analytics. Quickly record HCPs requests for off-label information. 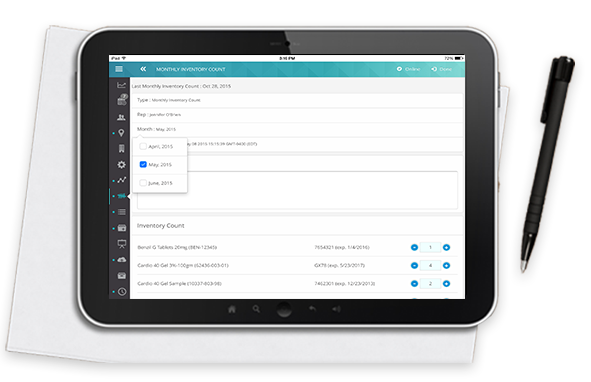 Capture electronic signatures and automatically route requests to the appropriate sources. Assess effectiveness and assign action items and completion dates, record feedback and progress against goals. Record, attribute and monitor money spent to ensure regulatory compliance. StayinFront TouchRx empowers reps with field access to critical customer data, profile information, brand messaging, segment information and sample distribution. KPIs inform reps of their progress and align them with company goals. Keep the entire organization in the loop and improve strategic decision-making. Manage the flow of data across multiple channels, including primary care, managed markets, MSLs and field management. Everything you need to know about a customer brought together in one location. 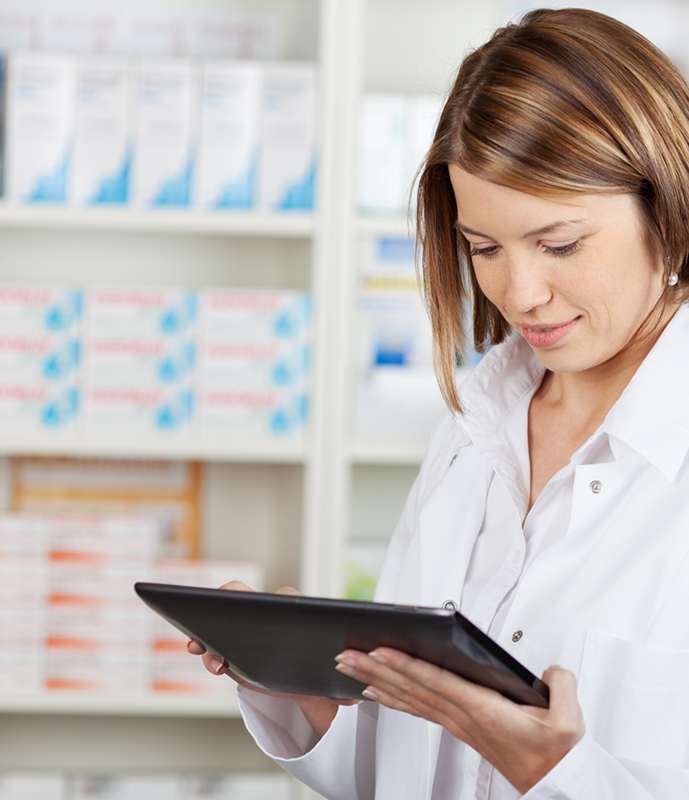 Seamlessly integrate data from 3rd party systems and create an accurate view of all your customers, including personal prescribing characteristics and overall relationship strength. Gain visibility and insight into current sales activity and performance, as well as a history of interactions across channels and Rx trends with superior analytics, reporting and integrated dashboards. 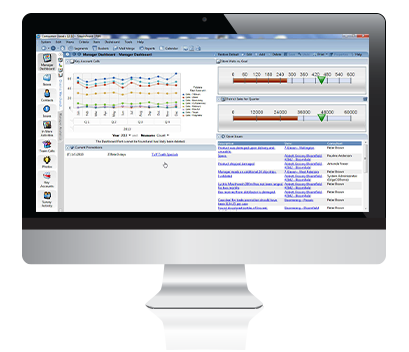 Integrated tools for analyzing results and generating real time reports. Use pre-configured industry specific graphs and reports, or create a custom report. A detailed view of a physician based on multiple data points including specialty, current position and affiliated hospitals. Utilize information from profile to more accurately rank and assign priorities to targets. 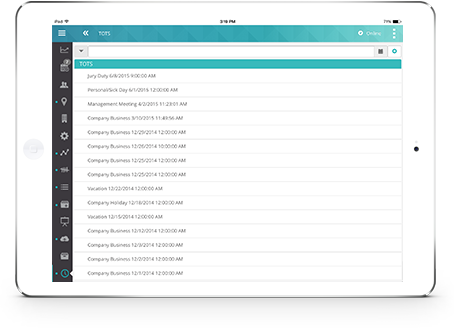 Combine navigation elements, such as, calendar summaries and tasks lists with informational elements like messages. Performance management tool lets reps instantly assess how well they are executing against a plan on a daily basis, as well as analyze trends over time. Gain valuable insights into your customers’ relationships with a visual representation of a physician’s professional associations within and between organizations. 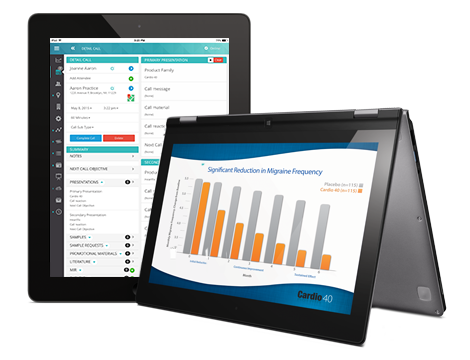 Educate and engage HCPs with eye-catching, multimedia digital content on a tablet. Version control ensures all reps are using compliant, approved and current content. Our Closed Loop Marketing application tracks the specific flow of each presentation and records the results. Analyze and identify which elements and messages resonate with customers and understand the effectiveness, both at an individual level and across a broader group. Continue to engage HCPs after the detail call is complete with StayinFront Briefcase, an easy-to-use and cost-efficient content management solution. StayinFront Briefcase is integrated with TouchRx and enables reps to send approved, follow-up content allowing marketing, managers and sales teams to track usage and report key metrics such as open rates and clicks. Deliver product information tailored to your customers’ needs and interests, while capturing feedback and responses to refine and increase relevancy of your messaging. All the tools you need to ensure reps are meeting with the right people, at the optimum frequency, selling the right product. Quickly react to cancelled appointments and minimize down-time. Reps can search for nearby customers, viewing and filtering on key targeting and physician availability information to quickly add new calls. Track call activity based on business rules, view history and data from previous visits to more effectively plan future visit dates and messaging. Identify and classify key accounts/people; use analytics to develop selling strategies and goals; continuously evaluate key account development and own market positioning. Quickly and easily record details of calls and events with multiple attendees, centralizing interactions with organisations or groups of individuals.